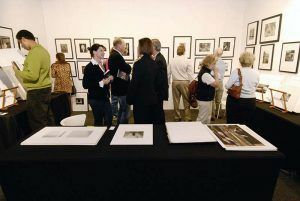 Los Angeles just finished a five day celebration of all things photography at Photo LA: The 21st Annual International Los Angeles Photographic Art Exposition at the Santa Monica Civic Auditorium in Santa Monica. It’s an event that brings together galleries, private dealers and publishers, photographic artists, collectors, and anyone interested in photographic images. In addition to the many in booth exhibitions, Photo LA offered lectures, panels, book signings, and special installations. Stephen Shore, Eileen Cowin, Catherine Opie, and Ken Gonzales-Day offered lectures, along with many other well know names in photography. ‹ Carleton Watkins Panel with Weston Naef.